At any other time of day I would have walked past this place. But the light of the day, at that moment, placed a flight of wooden stairs on stage and the words “paint me” entered my thoughts. 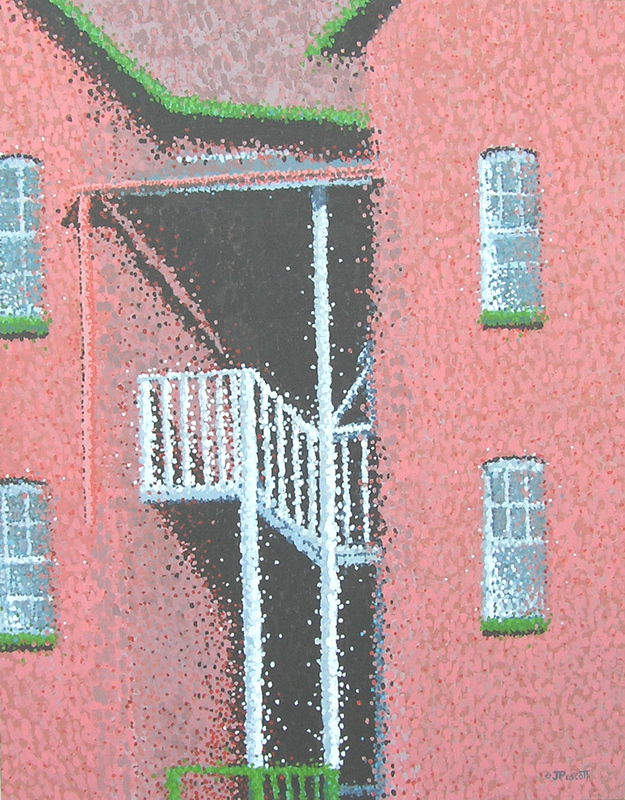 No trees, no sky, no people: just stairs at the back of an old building. “The Backstairs” is a forgotten place. What do you experience in this painting?